The fabric I used for this quilt was the “boys” fabric I purchased last year when flannel was on sale for $1.49 at JoAnns. 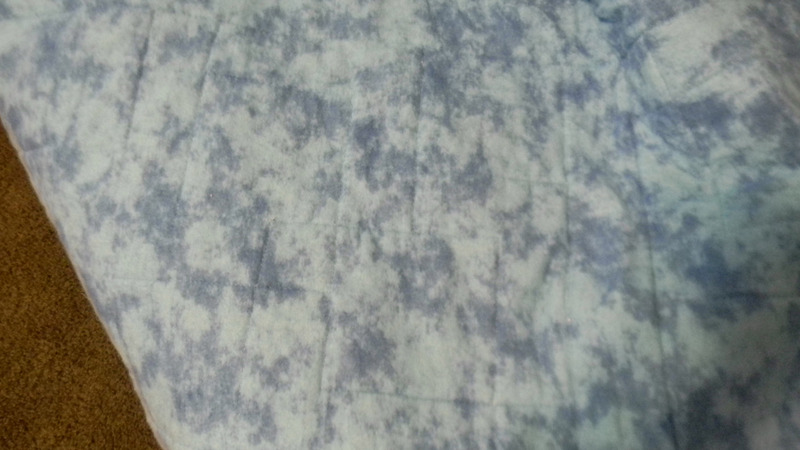 I have to warn you to wash your flannel in warm water and only wash like colors before sewing. This fabric really bleed. After my nephew’s baby was born it was time to decide what pattern to make. I finally decided on a disappearing 9 patch. Try 1. 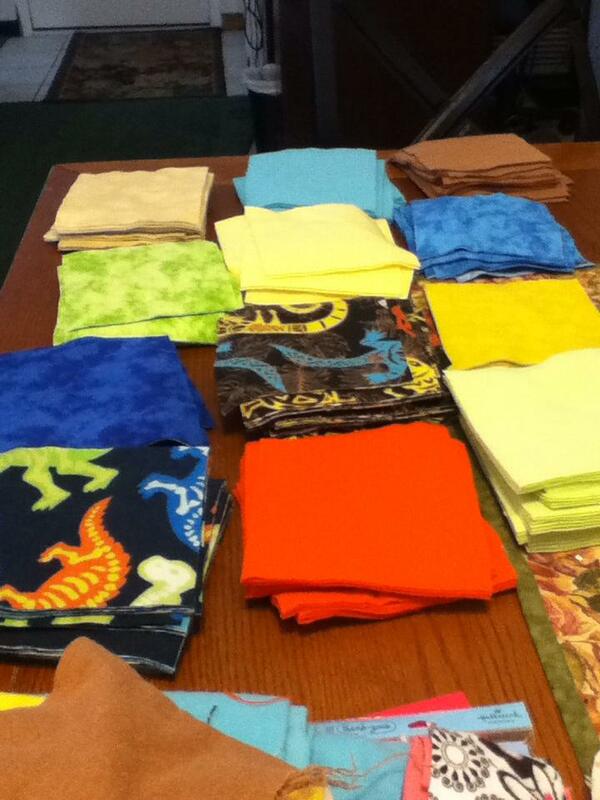 I cut 6″ squares and began to cut and sew the squares. 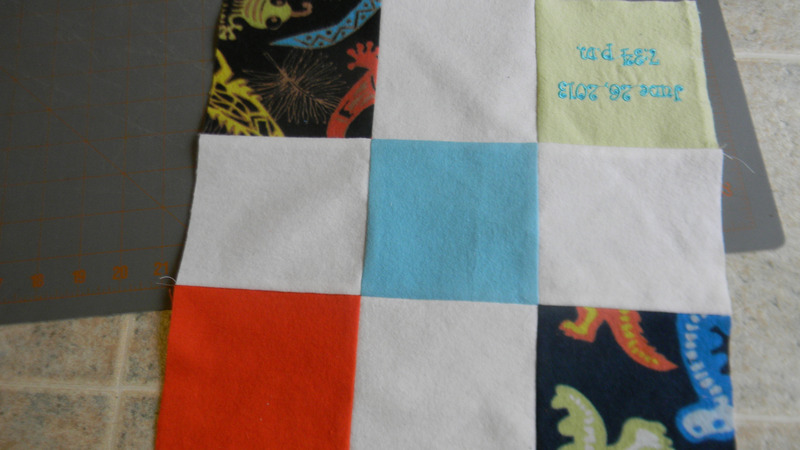 Do not use 6″ squares, it is not pretty. 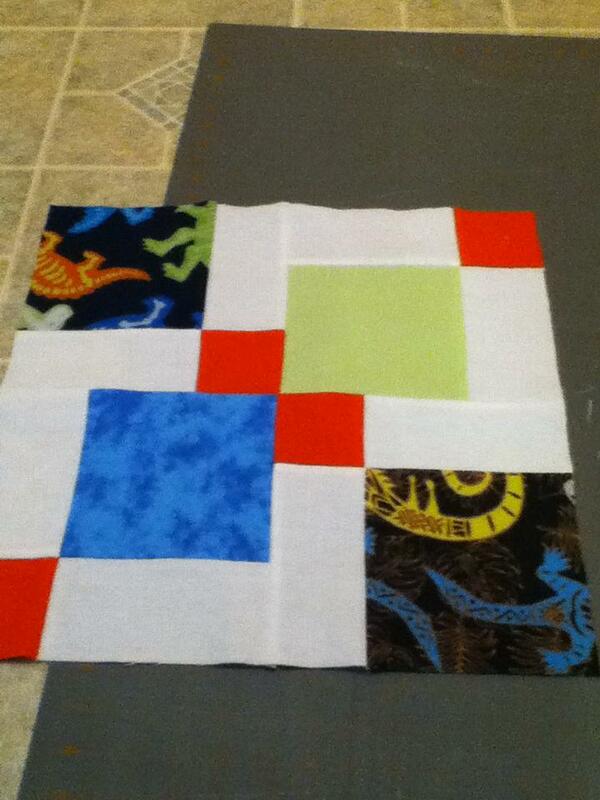 After 3 rows I hated it and decided to cut the squares down. Try 2. I hated the orange I chose for the middle so trashed the 2 rows I had done of that. Try 3. I decided to use the aqua in place of the orange and liked it much better. It is a good thing because I don’t think I would ever have finished the quilt. 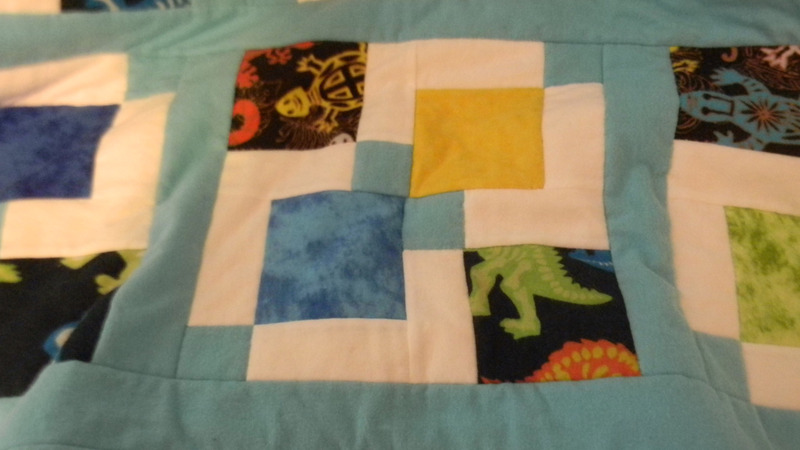 This is also the first quilt I have ever made that is square and I have been quilting for many years. 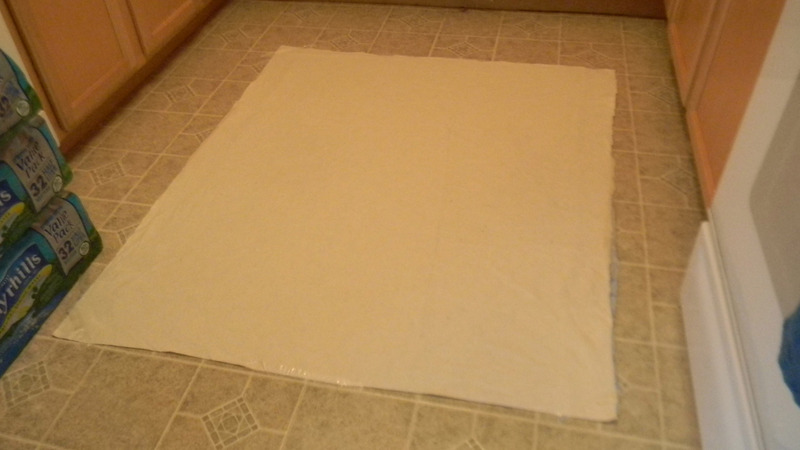 I just never have liked a square quilt but this one really did lend itself to a square. I do like the disappearing 9 patch as it can have many variations. 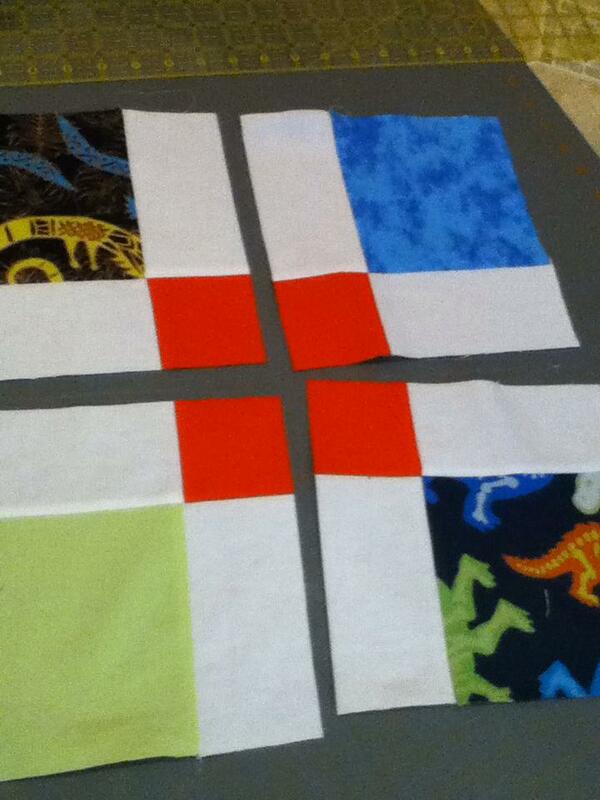 You sew 6 squares together and cut them apart, rearrange, and resew, very easy. I rotated the upper right and lower left squares 90 degrees and resewed. 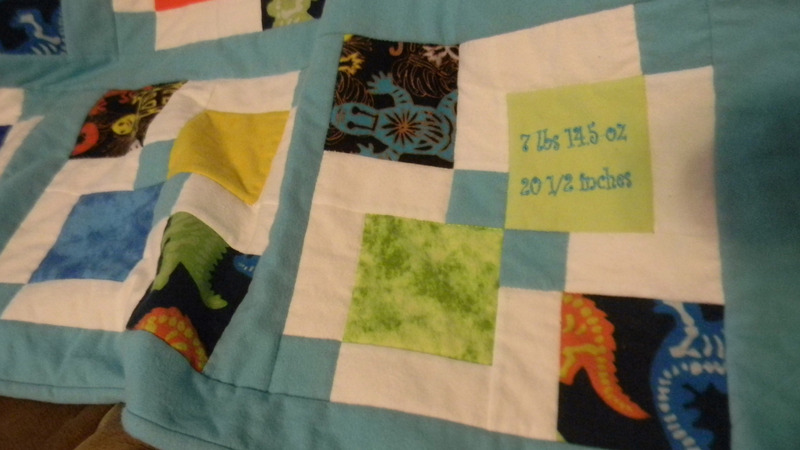 I embroidered my great nephews name, birth date, and birth information on squares which makes it very personal. 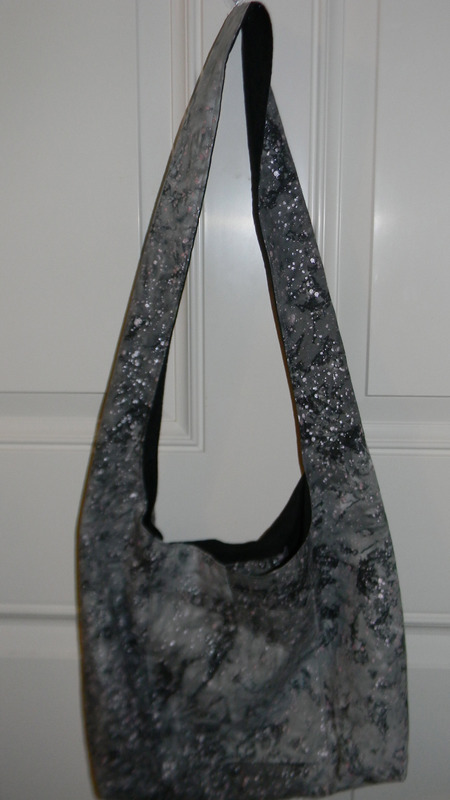 I had to make sure I put the embroidered square upside down when first sewing because the was the square I rotated. 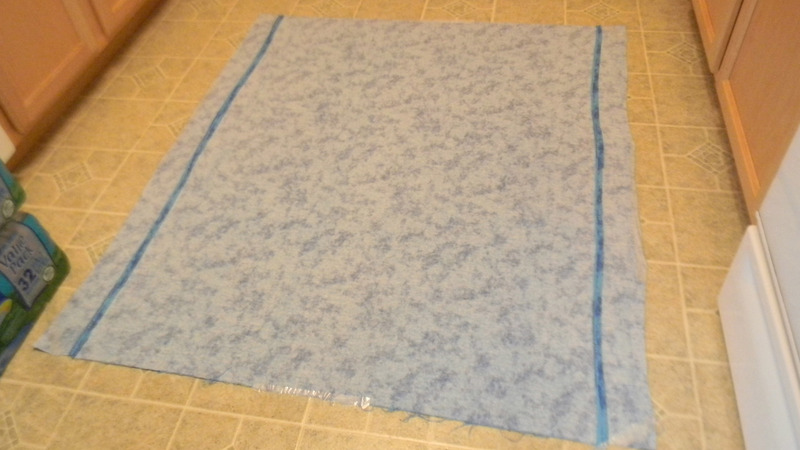 I had to piece the back as it ended up being larger than 44″. After everything was finished a sandwiched the backing, batting, and top, pinned and then stitched in the ditch with a multi colored thread. 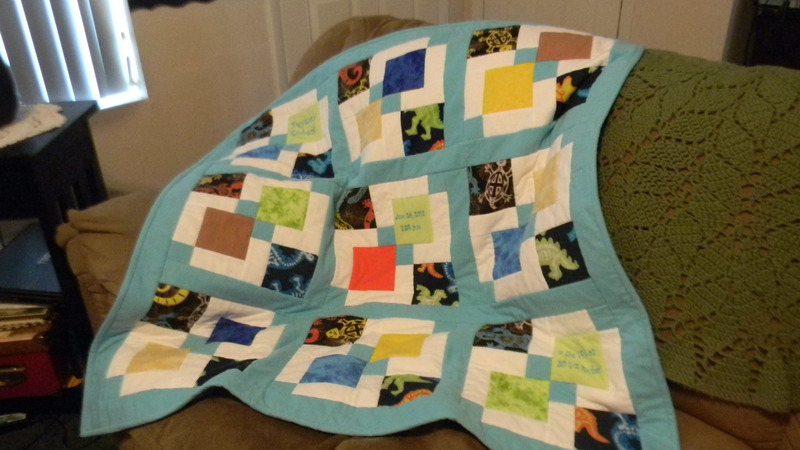 I think this quilt turned out nice and hope my great-nephew enjoys it as he grows up. 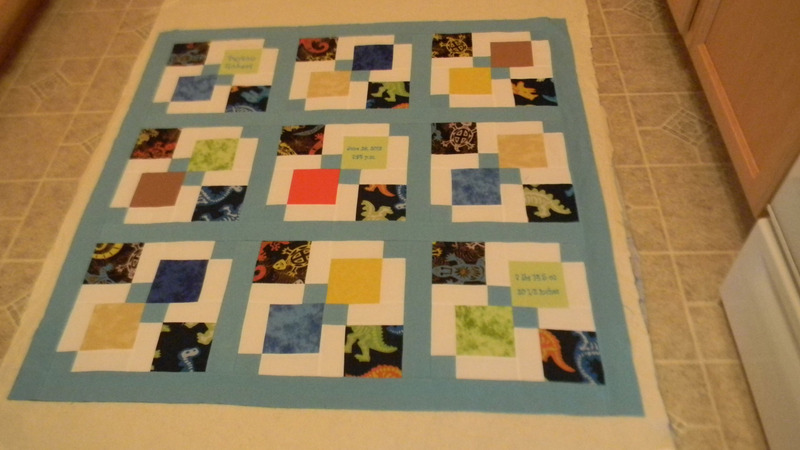 This entry was posted in Posts, quilting, Sewing and tagged Baby boys quilt, baby quilt, Disappearing 9 patch, disappearing 9 patch baby quilt, flannel quilt. Bookmark the permalink. So beautiful! 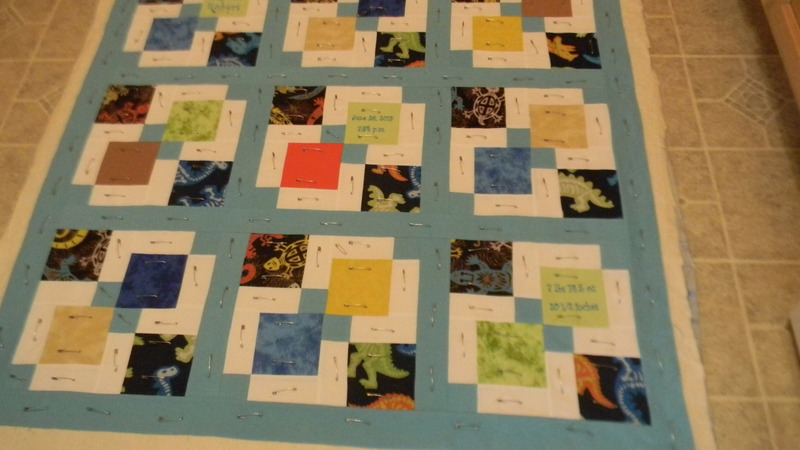 I’ve been hankering to start making my Christmas gift quilts, and I love this one!